Breakout Session Success – Getting the Audience to Come to You! You’ve been selected as a breakout speaker. Great! You are on the program with 4 or 5 other speakers with different topics of interest. The conference planner asks you for your bio and a blurb about your session. 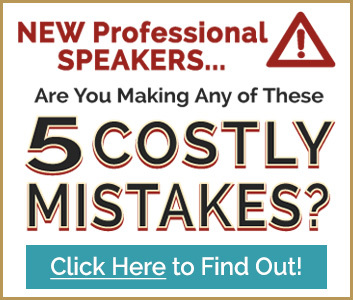 How do you stand out from the herd of other breakout session speakers to get people to your room — especially if you’re not a well-known speaker to that group? Here are 3 tips that will ensure your session is well-populated and successful for both you and the event planner. Make it something that will spark some interest! 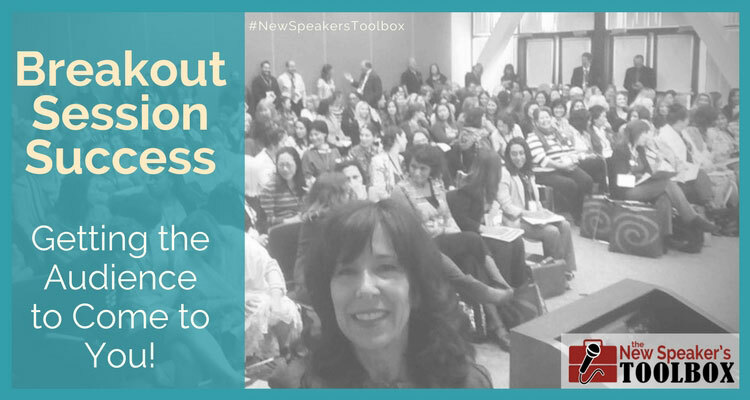 My main topic is “Think Like A Negotiator,” and that may pique some interest, but when I add a customized subtitle, it really lets the audience know that the session will be focused on them. Having session titles that were aligned with the conference themes made it much easier to get selected to speak in the first place. In addition to the titles, it’s important that the session descriptions were also aligned with the themes. Be sure to include specific takeaways, so the meeting planner and the potential attendees know what to expect. Reflecting a conference’s overall theme with your session titles, short descriptions, and list of takeaways demonstrate that you understand their purpose and will help your audience deepen their conference experience. It makes meeting planners want to schedule you and attendees want to grab a seat in your session. Look the part for your audience. Look like your headshot. If you don’t, that will cause confusion. A confused mind says “no,” and you will lose credibility. What you wear is equally important. Dress to impress and stand out from the crowd. If it’s a more conservative audience, keep that in mind, but differentiate yourself from all the other speakers by perhaps wearing a colored suit, rather than the traditional black. Be sure that your clothes are flattering, well-fitting, and congruent with your style and brand. If you’ll be speaking on a stage with curtains behind you, DO NOT wear clothing that’s the same color as the curtains. You will disappear. As professional speakers, it’s important to remember that we are on display for all the world to see. We are a visual society and we can’t help ourselves by looking at what someone is wearing. The audience is judging us — good and bad — before we utter even a single word. This cannot be a show-up-to-speak-and-leave session. Speakers who do that don’t make a good impression or connection with the audience. We have to show up early to connect with people, introduce ourselves and get a buzz going about our breakout session. Otherwise, we’re just a name in the program. This is hugely important if you’re not yet well-known or if you’re going up against “more interesting” speakers. Connection builds trust. The small blurb in the program — while very important — is not enough to get people to your room and fill it to capacity. There’s much more to be done! 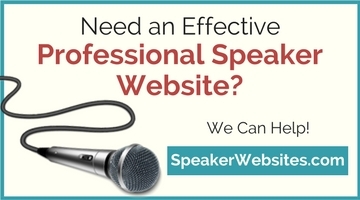 So, what does all this do for you as a speaker? Having a filled-to-capacity breakout session exposes you to more people who can benefit from your message. It makes you look like a RockStar to the event planner, and it increases your chances of getting invited back!